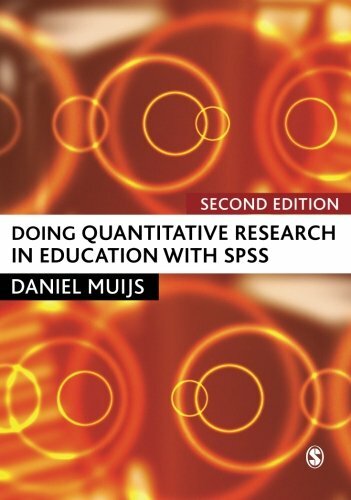 Amazon.com description: Product Description: Doing Quantitative Research in Education with SPSS, Second Edition, an accessible and authoritative introduction, is essential for education students and researchers needing to use quantitative methods for the first time. Using datasets from real-life educational research and avoiding the use of mathematical formulae, the author guides students through the essential techniques that they will need to know, explaining each procedure using the latest version of SPSS. The datasets can also be downloaded from the bookâ²s website, enabling students to practice the techniques for themselves. This revised and updated second edition now also includes more advanced methods such as log linear analysis, logistic regression, and canonical correlation. Written specifically for those with no prior experience of quantitative research, this book is ideal for education students and researchers in this field.